Aligned with the vision for the preparatory process and for the Conference to be carried out in an inclusive, efficient, effective, and improved manner, the General Assembly, in its resolution A/70/210, decided to organize five days of open-ended informal consultative meetings before the submission of the draft outcome in order to provide opportunity for feedback on the conclusions of the Habitat III Policy Units and the Regional and Thematic meetings. 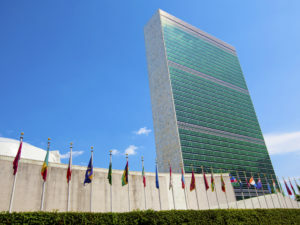 It also invited the Bureau of the Preparatory Committee to convene informal intergovernmental negotiations for three days in May, three days in June, and three days in July. Local Authorities’ associations and stakeholders were invited to participate in two-day informal hearings in May and June. On 25 to 27 July 2016, the third session of the Preparatory Committee of Habitat III (PrepCom3) was held in Surabaya, Indonesia. 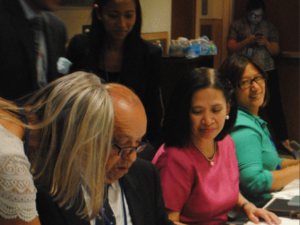 Over these three intensive days of negotiations, delegates from member states discussed the draft New Urban Agenda, which led to the Surabaya Draft. 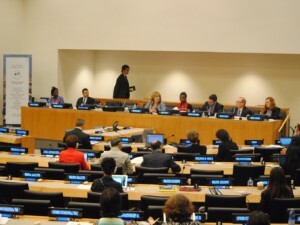 At the Closing Plenary session of PrepCom3 the Preparatory Committee decided to hold informal intergovernmental negotiations led by the co-facilitators in September 2016 at the United Nations Headquarters in New York.